We are lucky enough to be located across the street from Thomas’s School in Kensington. As neighbours we enjoy a lovely relationship with the staff, students and parents of the school, many of whom are customers in the shop and have been wonderfully supportive of our business over the years. Occasionally when the school are fundraising for charity projects, we are able to return the favour and lend our support to the cause. Juliet has lent her time teaching the staff and parents how to make Christmas wreaths and decorations for sale at the Christmas Fair and we have donated vouchers and plants over the years. One of our more recent donations was in aid of the CAIRN trust (Children’s Aid In Rural Nepal). This trust is one of the schools permanent charities and funds raised go towards providing children with education, books, and access to libraries and school places. The recent fundraiser hosted by the PTA at Thomas’s School in Battersea raised £203,000 for the CAIRN trust. A donation of this size provides sweaters, books, education and facilitate construction of library buildings. We are very pleased to have been able to contribute and to be in some small way involved with this wonderful charity and the work that they do. 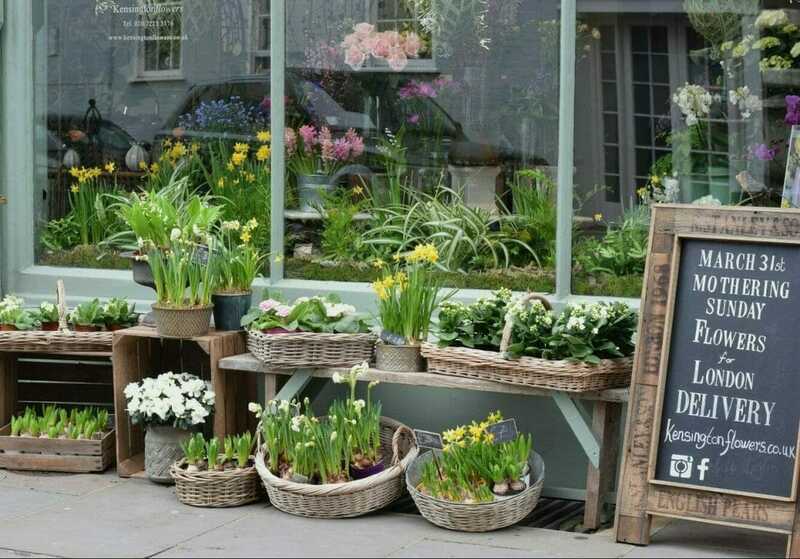 To celebrate British Flowers Week this week, we thought we would share a little bit about how we shop for our flowers, our favourite British Flowers and why we choose to buy British. Why do we love British Flowers? Nowadays there are many different ways to buy flowers as a florist. 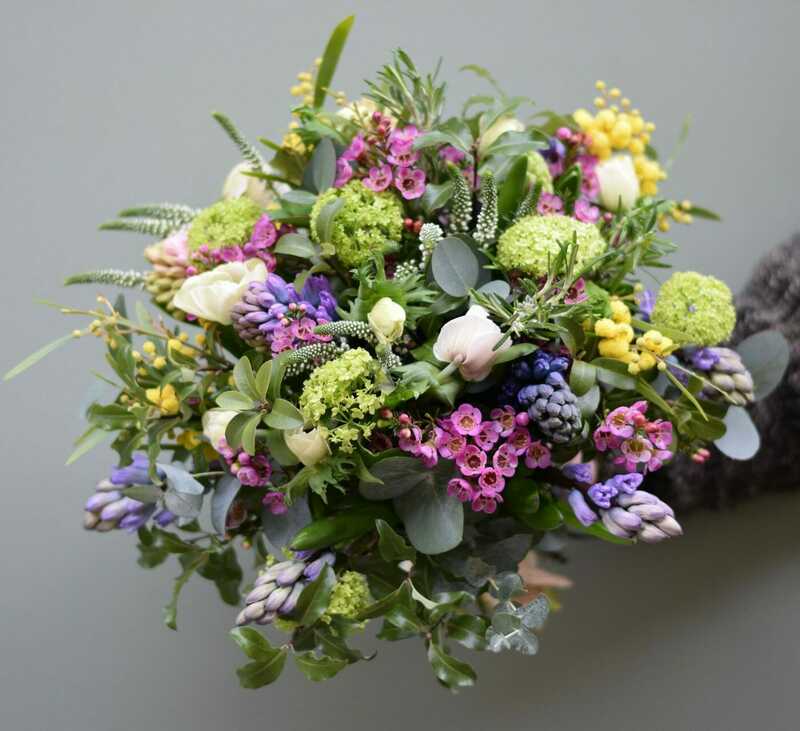 Dutch flower lorries mean you can have a mobile shop full of fresh flowers delivered to your door. There are flower farmers and now small local growers in Britain who supply freshly cut flowers from their cutting gardens, wholesalers selling on line as well as from retail units and and then there is the New Covent Garden flower market in London. For us at Kensingtonflowers, Juliet makes the journey to New Covent Garden Flower Market each morning to stock up on fresh flowers, foliages and plants for the shop. We usually stock the shop with a mix on British and imported flowers depending on the season. We choose to buy British whenever possible, because the fewer air miles a flower has flown to get here means that the flowers stay fresher for longer. British flowers are generally of a higher quality and at a better price when they are in season. We also like to support local growers where we can, given that we are a small independent business ourselves, we like to shop local! To celebrate we thought we would share our favourite British Flowers. 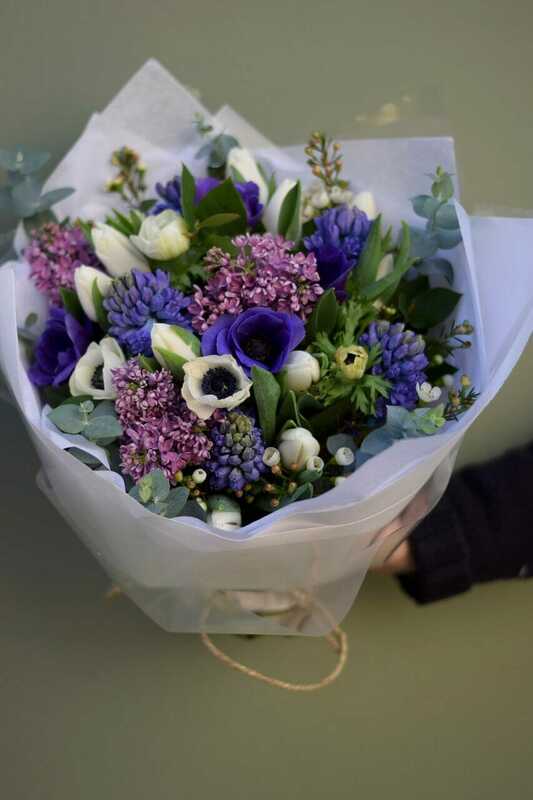 For Douglas, who is the right-hand man in the shop and responsible for our brightest bouquets, there is no better British flower than the Anemone, in particular the rich dark purple anemone. UK grown anemones are available for a limited time but are truly special. 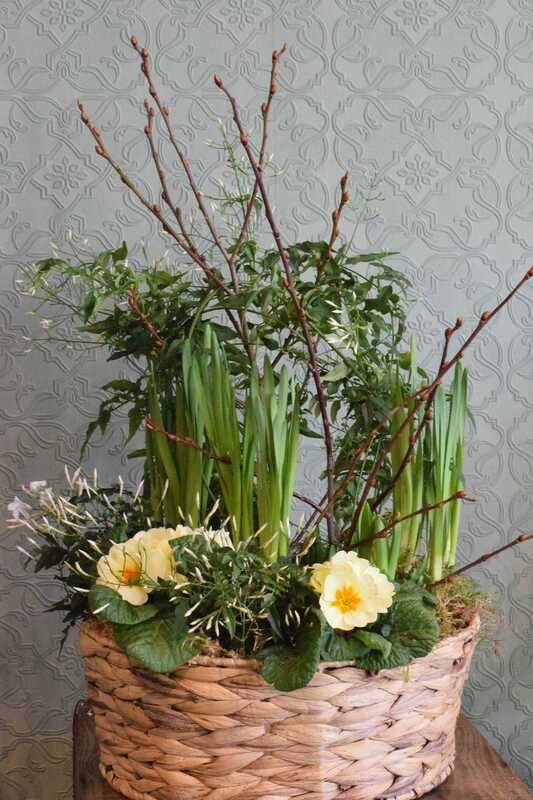 In the shop you will find it in Douglas’s bouquets mixed with parrot tulips, ranunculus,, rosemary and herbs. 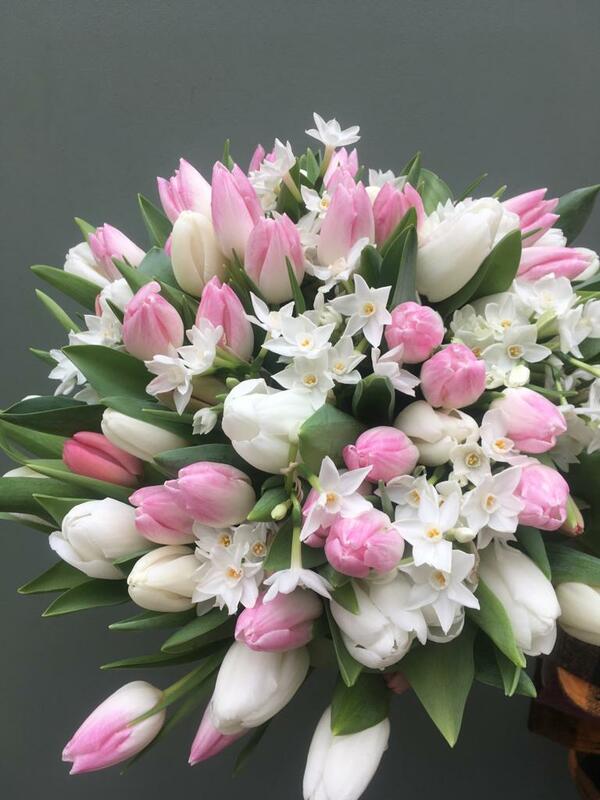 For Juliet, who owns the shop and is the driving force behind Kensingtonflowers, she likes to keep it simple and elegant with lily of the valley. In the shop, when in season, you will find these beauties in little pots of their own, or as tiny cut bunches, allowing their simplistic beauty and signature fragrance to shine. Our limited edition, British Flower Week bouquet. In support of British Flower Week we have created our own limited edition British Flower Week bouquet. This bouquet is filled with peonies, sweet william, scabiosa, astrantia, and myrtle. It is a celebration of all the things we love about British Flowers. You can purchase the bouquet on our online website shop. Kensington Flowers is located in the heart of Kensington, a stone’s throw away from Kensington Palace and Gardens. The local community here is of great value to us both personally and as a small business. Recently Kensington Flowers has become involved in a community project concerning the area behind Christ Church Kensington. The aim of this project is to create an edible garden aimed at raising awareness as to where our food comes from and how it is grown. The edible garden is not just for the pleasure & benefit of those who live locally. It will benefit the many Independent and State schools in the wider Kensington area. Thomas’s Day School approached Juliet to assist with an evening floral workshop which would raise funds for the project. The workshop was attended by parents and teachers at the school. Attendees produced beautiful candle arrangements which were sold at the schools Christmas Fayre. Proceeds from the sales of the arrangements will be donated to the edible garden project. Overall the workshop was a tremendous success. The art room at Thomas’s was transformed into a suitable workshop, with added nibbles and fizz to fuel the workers. Approximately 40 Thomas’s ‘Elves’ then set to work creating their own arrangements. Juliet gave a wonderful demonstration on how to prepare the pot with oasis and candles, making sure that these are secure. She then taught everyone the art of adding the decorations such as pine and fruits to dress the arrangement. Juliet and her equally glamorous assistant Anna, passed on encouraging words of wisdom and practical advise throughout the evening. The room was filled with laughter, concentration and a healthy degree of competitiveness! The arrangements were finished off with a ‘made by’ label, adding a personal touch for both for the maker and the buyer. Juliet kindly lent her time and knowledge to the project. All of the equipment required such as cones, cinnamon, pine, terracotta pots, dried fruits, tape and wires were donated by Kensington Flowers and a generous local Kensington family. All proceeds from these arrangements, along with proceeds from art and vases made by the children of Thomas’s, will go to the edible garden fund. We will keep you posted on the progress of the garden, so stay tuned! It is hard to believe that November is upon us already, signifying the start of the busy season. Preparations are already underway for Christmas in our the studio. With December being one of our busiest times of the year, we always start early! We will be on hand to help create all kinds of floral arrangements to make your home or office feel that little bit more special over the festive period. We create our Christmas wreaths using a variety of foliages from traditional pines to more modern olive leaf and eucalyptus. Big or small, we can create a lovely wreath to suit your front door. Advent wreaths usually have four candles placed around a wreath for a table. The candles are to be lit each Sunday in the lead up to Christmas signifying the four weeks of advent. Whether it be a single wreath and candle to be placed in the middle of your table, a garland or a series of smaller vase arrangements we can create something beautiful for your Christmas table. 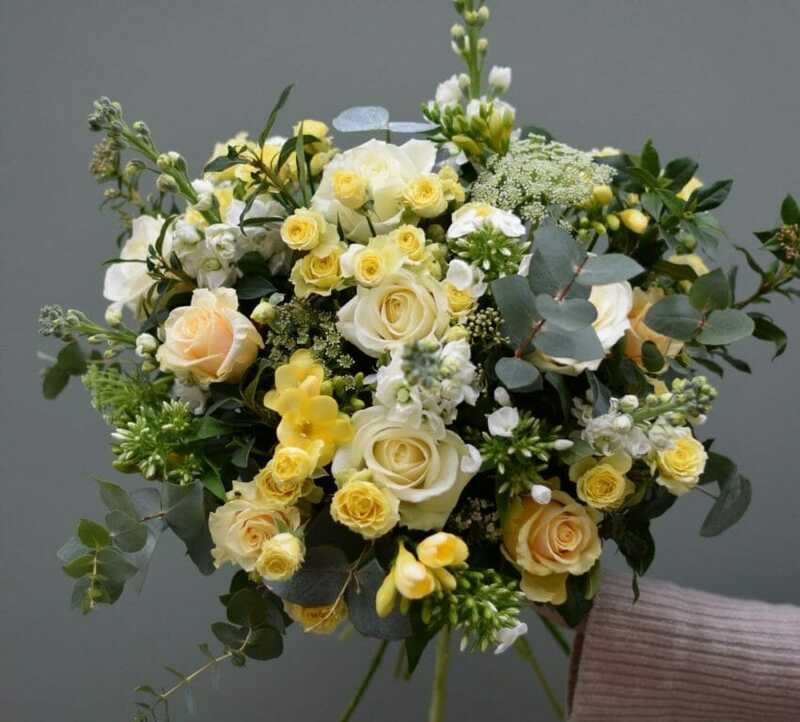 We can create a beautiful, bespoke bouquet for your valued clients and customers. If you would like us to put together a small gift of a scented candle to accompany your flowers we can also arrange this. 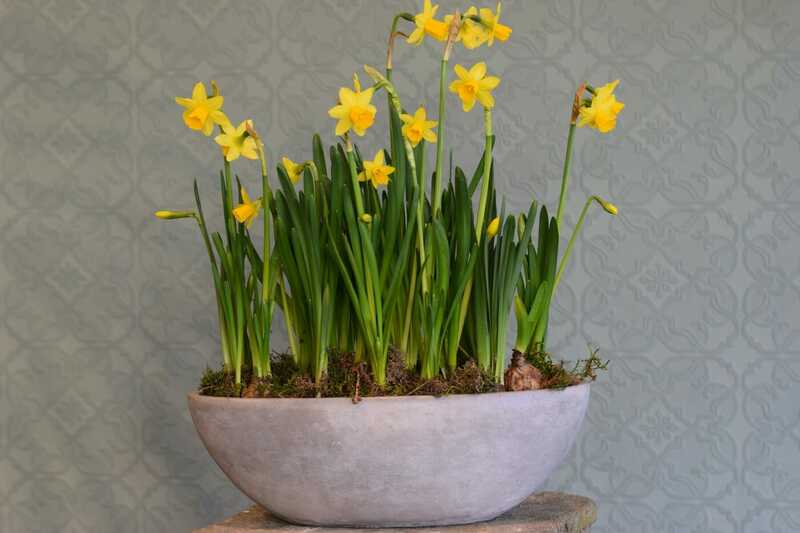 For something truly unique we can arrange of container of scented hyacinth bulbs, paper white Narcissi or a basket of orchids for a gift that will last that little bit longer. Ensure that your home looks lovely for the inevitable onslaught of houseguests and visitors by ordering a vase arrangement. If you have a particular favoured place in your home for the arrangement to go and you are local, we can come and install it for you. Otherwise we can deliver arrangements in the vase, or as a bouquet, which can be easily added to a vase on arrival. If you would like us to continue to replace your arrangements over the festive season this can also be arranged. We love creating unique and special arrangements for our clients, if there is something in particular you would like us to arrange for Christmas please do get in touch to discuss it with us, the more notice you can give us the better! Remember that we provide flowers for all kinds of occasions, however big or small. If you are hosting a dinner party and would like something for the table or if you would just like your home filled with vase arrangements we can help.